When my girls were young the mending pile only seemed to grow, never get smaller. When I did get around to tackling it, I’d find they had already outgrown some items so I really didn’t have to mend those! Today’s stash included a couple pairs of spring slacks to hem for my aunt. 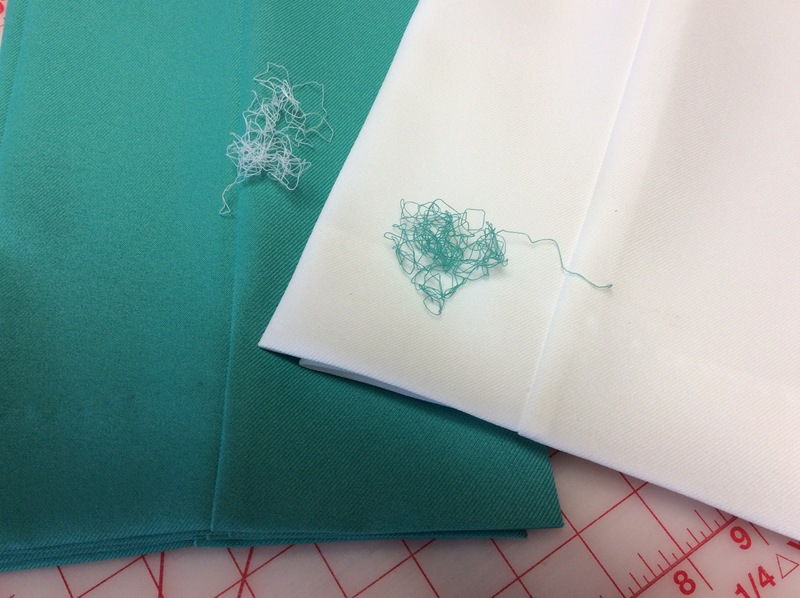 As I pulled the hems out I remembered that we used to save that thread so we’d have a perfect color match for the new stitching. 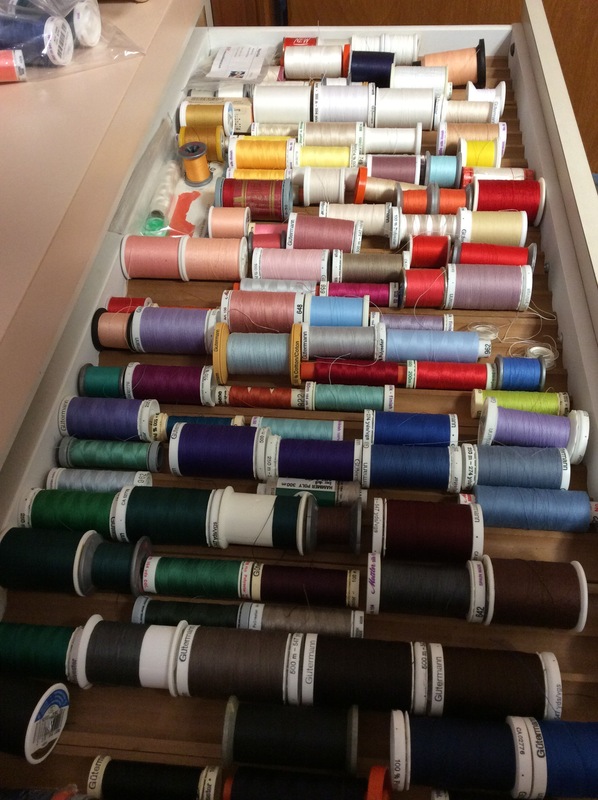 I don’t have to do that because I’m fortunate to have a large collection of thread to work with. This is only one small selection! Now that repairs are done I think I’ll stay and quilt a while.